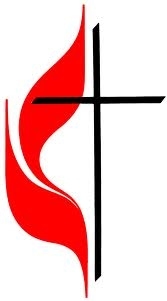 Welcome to Bethel Community United Methodist Church’s website. We are excited to know that, just like guests on Sunday morning, you have come to check us out. I hope that you will find our web site informative, inspirational, and even helps you find direction if you are searching for answers. We, at Bethel Community UMC, are about faith and community. We know that God has given us the gift of life and that through Jesus Christ we have hope, joy, love, and peace. God has placed us here in the Connecticut area to become a community of love and a place of hope for everyone. As a loving community we have been called to discover and develop our faith, grow as disciples of Jesus Christ, and re-energize our community. Each of us have been gifted and equipped by God to do his work. Together, with Jesus, we believe we can make a difference in our community and the world. Come and join us on Sundays at 8:30am to worship, to be a part of a loving community, and to celebrate the Good News of Jesus Christ! Bethel Commmunity UMC is small enough to be a family, but large enough to meet your needs. I look forward to meeting and greeting you when you come to visit.